Sweeney’s Oil Service is a 3rd generation, family owned business operating in the Buck and Mercer County areas for over 100 years. We specialize in residential and light commercial heating, cooling, and fuel oil sales. The company is owned by President Dan Sweeney, a lifetime member of Yardley-Makefield Fire Company and an active member of the Sons of the American Legion…Dan has been in the heating, air conditioning, and fuel oil business since 1972 and has a wealth of experience in all HVAC related matters. 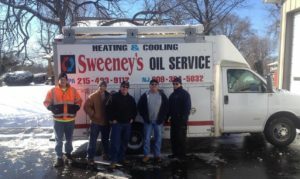 His two sons, Mike and Dan, along with 4 other employees work for Sweeney’s Oil Service. 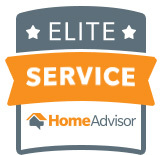 Our small team of professionals is able to provide great service with emphasis on customer care because we know going the extra-mile is what makes us a great company and differentiates us from our competitors.